Not Just Trump the Chimp, but Trump the Poop Throwing Chimp. More on that below!! 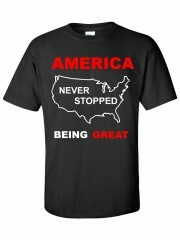 If you got here directly then go back to the home page Alpha Male Home link at the top. I had mentioned how much of what Trump said was either wrong, or “not even wrong”, or name calling or just empty sounds. 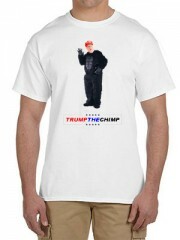 My son, Alex, said Trump the chimp, and we ran with it. And loose almost all of your investment — over 95%: Not only did the bondholders take a beating, the stockholders did too, with the price of the stock declining from $4 per share to 23 cents. It was nothing personal, just business as usual for Trump. At this point some of you may be thinking that I am just another bleeding heart liberal who can not deal with someone “speaking the truth”. This statement is wrong on several counts Evidence of that is that I joined the libertarian party in 1978, voted for Ron Paul the first time that he ran for president, and was a RP delegate to the 2008 Republican State convention in Nevada. That last experience lead me to post a 6000 word essay that I called Orwells boot on the internet. If you do a search on those two words the first or second article that is returned, after paid links, will be my article, usually under the name factotum666. You can use other terms like orwell and tyranny and then I drop down a few notches, but am still, usually, on the first page. The point is, that google likes me 🙂 I am not a fan of politicians. They lie. A lot!! Politicians lie because they can, and like almost everything that they say, it is based on their well founded belief that almost every voter is, well , foolish, with the memory of a mayfly. Their handlers do not craft messages based on what is logical, or as accurate as possible, but on what they can sell to people that think are really foolish. And she is the leader. Do we really want a leader who will tell such blatant lies, or whose memory of non trivial events is so terrible? Except that she DID NOT MAKE A MISTAKE!!!. She lied. There is a difference. But she, like almost almost politicians, believe that you are stupid, and that they can get away with saying anything, and that you will believe them. Even saying that they do not know the difference between a peaceful walk, and dodging sniper fire. Along this line of being smart. It turns out that according to some sciency things, that the more poop that a chimp throws, and the more accurate his throws, then the smarter that he is. Not necessarily smart in a problem solving way — but in his ability to manipulate people. Given the invective that Trump is continually spewing, he appears, at least to this observer, to qualify on all counts. Here is a longer more detailed analysis of poop throwing and social IQ http://phys.org/news/2011-11-poop-throwing-chimps-intelligence.html. Hmmm. This may explain a LOT about our politicians, and the political process in general. Four bankruptcies, two divorces, but he has never been wrong. Or do a search on these terms: global warming trump quotes. Then read this article which is more, or less, typical of how companies that are not engaged in fossil fuel mining, and have a time frame of more than the next quarter, are looking at global warming. http://www.coca-colacompany.com/sustainability/coca-cola-unites-with-global-food-and-beverage-companies-to-acce/ . Or examine the views of the Forbes 400 most of whom, like Zukerberg, Gates, or Buffet are actually self made, and do recognize that Global warming is real, and not a Chinese plot. I suppose that in the world in which “The Donald” resides, he is always the master. Well, except when he goes bankrupt. But that only happens every few years, and the rest of the time he can surround himself with various lackeys and other unquestioning people who are, as he says, stupid.